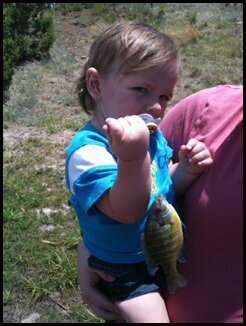 >My Grandson Liam’s First Fish! Previous Post >The Ark’s on Fire! Next Post >Red, White, Blue & Greenbacks! >Congrats!It's always fun reliving those first-time outdoor experiences through young ones, isn't it?Looks like he's even got the pose down!